Summer's here! And what better way to start it off by building a couple of Caravans. I'd been struggling with a Chicken Bus based on the Harry Potter Knight Bus. My first attempts looked like an Eggplant with Windows, then it morphed into a fairly decent looking 7-wide Transit bus. But it still wasn't what I was hoping for so I started again from scratch and built this caravan. It's 7-wide, 22 studs long and although the color scheme looked a bit loud I'm pleased with the outcome. There are exterior lights, steps, a roof mounted AC unit, an awning currently rolled up ( ), a couple of Gas bottles on the front tongue, but it currently has no interior. 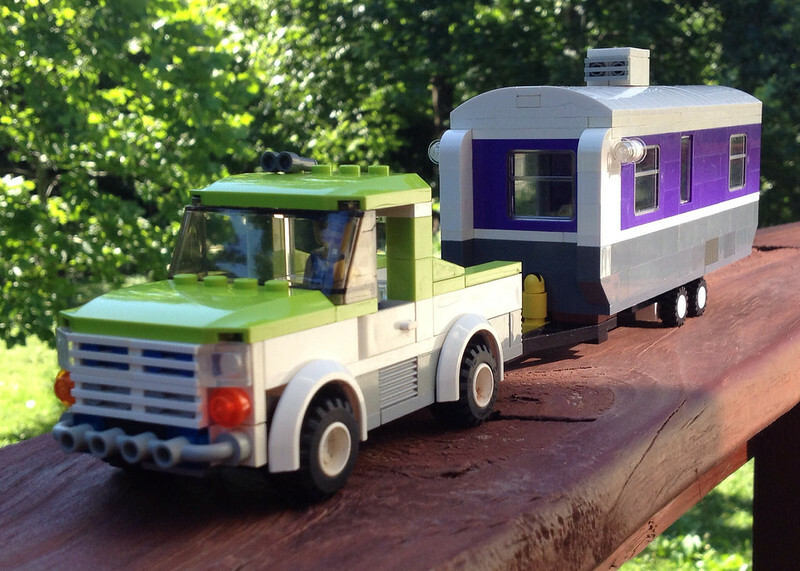 Then as part of my forthcoming Trailer Park I had to build another one and I stumbled across RTN LNA's instructions for an Airstream on another site (http://www.mocpages.com/moc.php/255110). I knew I just had to build it. The door was tricky and I slightly changed the connection method for the roof and the two ends and added the AC unit/TV antenna but otherwise it's his plans that I used and they are well recommended. So grab a cold one and join me around the campfire! Comments, criticism and ridicule most welcome. No criticism, no ridicule just a whole load of praise. I think they're great. Looks great! Would be fun if you could add an interior. Any plans on doing so? Both of them are great! I can't wait to see them furnished. I do realize that they are intended for a trailer park, but do you have any cars that can tow them? When you have more trailers, show them! 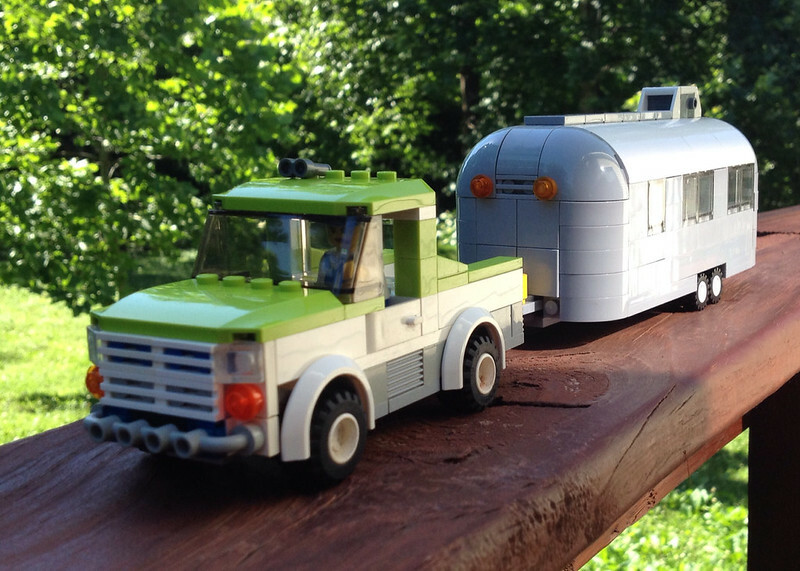 AWESOME work 'eurotrash', cool Airstream dude - Brick On 'eurotrash' ! Cool! Yeah, these are really good. But is there anything you could do to make the wheel arches on the airstream look less blocky? 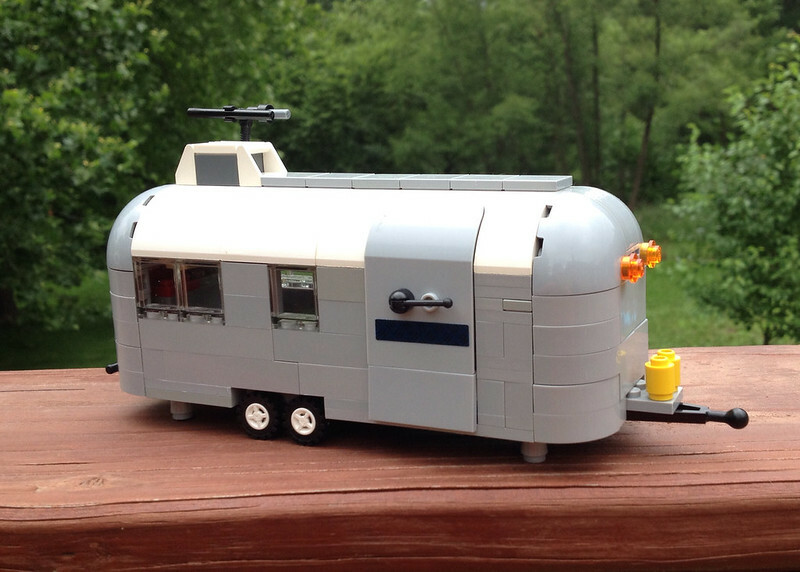 But is there anything you could do to make the wheel arches on the airstream look less blocky? I don't know. 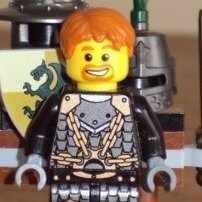 Maybe a couple of upside 87087 Bricks (modified 1 x 1 with stud on one side) and an upside down cheese slope. I was getting to the very end of my light blue grey inventory and I'm not sure I've got the pieces to complete it, but hey, there's a link to the original makers plans in the first post in this thread - you should try it! They are both awesome. I can't decide which one I like more. Now, please, build a car/pickup for them. I really wan't to see them together. Wow! Really impressed by both, I echo previous comments by saying I'd love to see a truck/car to tow these, not to mention the whole trailer park! 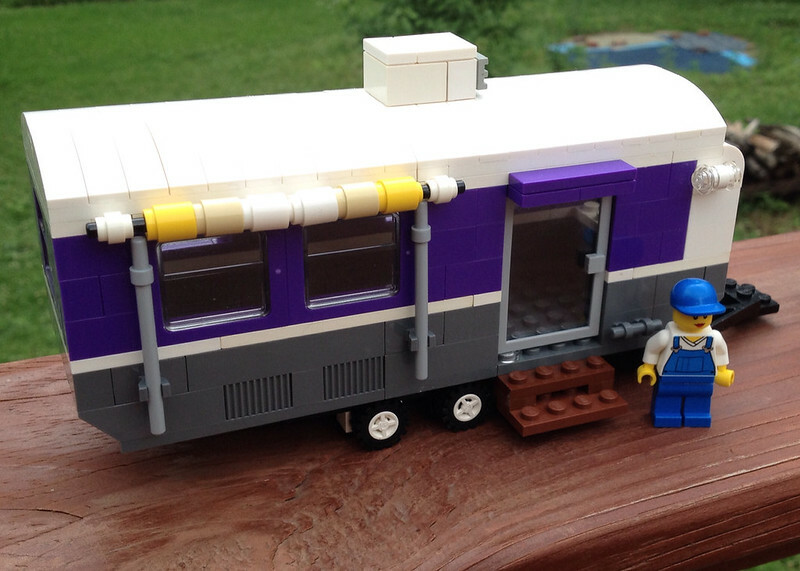 I personally like the purple, something different about it that makes it look unique, those windows in particular look appropriate for a caravan. Great work as always eurotrash, I eagerly await more! Besides that the truck is great, the pictures are awesome. Great work eurothrash!